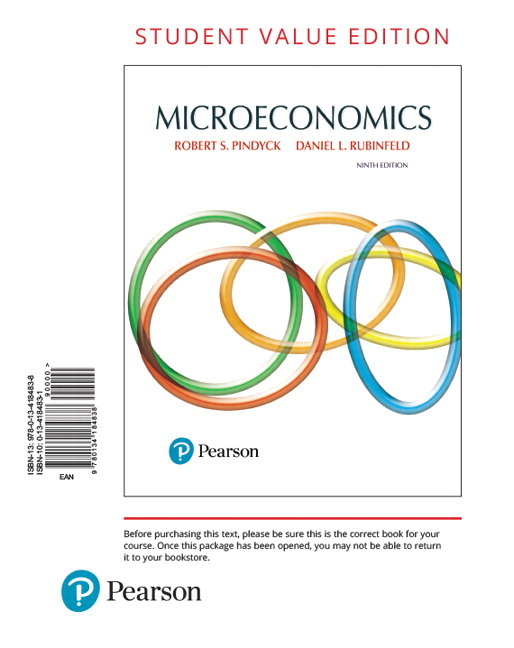 Students, if interested in purchasing this title with MyLab Economics, ask your instructor for the correct package ISBN and Course ID. Instructors, contact your Pearson representative for more information. Taxicab markets that include the entry of “ride-share” services like Uber and Lyft (Chapters 9 and 13). Tesla’s new battery factory (its “Gigafactory”), and how scale economies will reduce the cost of batteries for electric cars (Chapter 7). A merger policy (Chapter 10) and Auto Parts Cartel (Chapter 12). The pricing of this textbook (Chapters 1 and 12). Consumers’ use of credit card debt (and apparent willingness to pay extremely high interest rates), and their decisions to join and use health clubs (Chapter 19). Key terms are defined in margins throughout the book and in the glossary. Concept links are also included in margins to promote awareness of an idea previously introduced in the text. NEW! Chapter on behavioral economics incorporates findings from psychology into descriptions of how consumers and firms make decisions, so that students can see how real-world consumers and firms behave (Chapter 19). Speculative demand and network externalities (Chapter 4). Bubbles and informational cascades, along with examples showing applications to housing markets and the financial crisis (Chapter 5). Core material on production and cost (Chapters 7 and 8). General equilibrium and economic efficiency (Chapter 16). 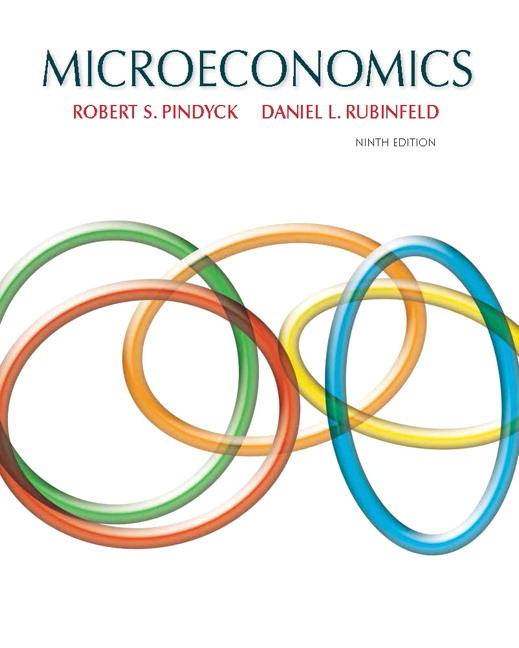 Environmental economics (a very hot topic in this course) (Chapter 18). The flexible structure of chapters allow professors to “pick and choose” what content to use to tailor their instruction based on course objectives. A complete suite of instructor supplements is available, including an Instructor’s Manual, Test Item File, PowerPoint lecture slides, and Study Guide. Videos. Approximately two- or three-minutes in length, each video depicts the author explaining the key point of the Making the Connection feature and includes engaging visuals, such as new photos or graphs, that are not included in the main book. These videos summarize key content and bring applications of concepts to life. Each video is paired with one or more exercises that help test students’ understanding of these key applications. Available for select titles. Concept Checks at the end of each section act as “speed bumps” that encourage students to stop and check their understanding of fundamental terms and concepts before moving on to the next section. Consisting of a few multiple-choice, true/false, or fill-in-the-blank questions, they help students assess their progress on a section-by-section basis, so they can better prepare for homework, quizzes, and exams. Question Help. MyLab Economics homework and practice questions are correlated to the textbook, they generate algorithmically to give students unlimited opportunity for practice and mastery, and they offer helpful feedback when students enter incorrect answers. Questions include guided solutions, real-time data exercises, Current News exercises and other multimedia assets for extra help at point-of-use. Experiments in MyLab Economics are a fun and engaging way to promote active learning and mastery of important economic concepts. Pearson’s Experiments program is flexible and easy for instructors and students to use. Single-player experiments allow your students to play against virtual players from anywhere at any time so long as they have an Internet connection. Multiplayer experiments allow you to assign and manage a real-time experiment with your class. Pre- and post-questions for each experiment are available for assignment in MyLab. Digital Interactives. Economic principles are not static ideas, and learning them shouldn’t be either! Digital Interactives are dynamic and engaging assessment activities that promote critical thinking and application of key economic principles. Each Digital Interactive has 3-5 progressive levels and requires approximately 20 minutes to explore, apply, compare, and analyze each topic. Many Digital Interactives include real-time data from FRED allowing professors and students to display, in graph and table form, up-to-the-minute data on key macro variables. Digital Interactives can be assigned and graded within MyLab Economics, or used as a lecture tool to encourage engagement, classroom conversation, and group work. Interactive Solved Problems. Each of the Solved Problems in the text is accompanied by a similar problem in MyLab Economics, so students can practice and build their problem-solving skills. These interactive tutorials help students learn to think like economists and apply basic problem-solving skills to homework, quizzes, and exams. The goal is for students to build skills they can use to analyze real-world economic issues they hear and read about in the news. Available for select titles. The Enhanced eText keeps students engaged in learning on their own time, while helping them achieve greater conceptual understanding of course material. The worked examples, animations, and interactive tutorials bring learning to life, and algorithmic practice allows students to apply the very concepts they are reading about. Combining resources that illuminate content with accessible self-assessment, MyLab Economics with Enhanced eText provides students with a complete digital learning experience—all in one place. Personalized Learning. Not every student learns the same way or at the same rate. With the growing need for acceleration through many courses, it's more important than ever to meet students where they learn. Personalized learning in MyLab Economics gives you the flexibility to incorporate the approach that best suits of your course and your students. The Study Plan acts as a tutor, providing personalized recommendations for each of your students based on his or her ability to master the learning objectives in your course. This allows students to focus their study time by pinpointing the precise areas they need to review, and allowing them to use customized practice and learning aids—such as videos, eText, tutorials, and more—to get them back on track. Using the report available in the Gradebook, you can then tailor course lectures to prioritize the content where students need the most support—offering you better insight into classroom and individual performance. Gradebook. The online Gradebook automatically tracks your students' results on tests, homework, and practice exercises and gives you control over managing results and calculating grades. The Gradebook provides a number of flexible grading options, including exporting grades to a spreadsheet program such as Microsoft Excel. And, it lets you measure and document your students' learning outcomes. Pre-built courses offer a turn-key way for instructors to create a course that includes pre-built assignments distributed by chapter. A fourteen-day grace period offers students temporary access as they wait for financial aid. Chapter on behavioral economics incorporates findings from psychology into descriptions of how consumers and firms make decisions, so that students can see how real-world consumers and firms behave (Chapter 19). Animated Graphs in MyLab Economics accompany many of the key graphs and figures in the text, and have been updated with real-time data from FRED™ (Federal Reserve Economic Data)--a comprehensive, up-to-date data set maintained by the Federal Reserve Bank of St. Louis. Students can display a pop-up graph that shows new data plotted in the graph, to better understand how to work with data and understand how including new data affects graphs. More dynamic than graphs on a printed page, these animated ones help students understand shifts in curves, movements along curves, and changes in equilibrium values. Robert S. Pindyck is the Bank of Tokyo-Mitsubishi Ltd. Professor of Economics and Finance in the Sloan School of Management at M.I.T. Daniel L. Rubinfeld is the Robert L. Bridges Professor of Law and Professor of Economics Emeritus at the University of California, Berkeley, and Professor of Law at NYU. Both received their PhDs from M.I.T., Pindyck in 1971 and Rubinfeld in 1972. 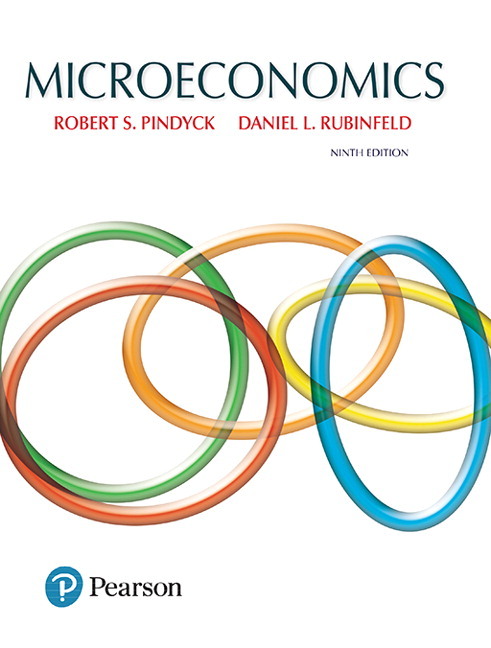 Professor Pindyck’s research and writing have covered a variety of topics in microeconomics, including the effects of uncertainty on firm behavior and market structure; the behavior of natural resource, commodity, and financial markets; environmental economics; and criteria for investment decisions. Professor Rubinfeld, who served as chief economist at the Department of Justice in 1997 and 1998, is the author of a variety of articles relating to antitrust, competition policy, law and economics, law and statistics, and public economics. 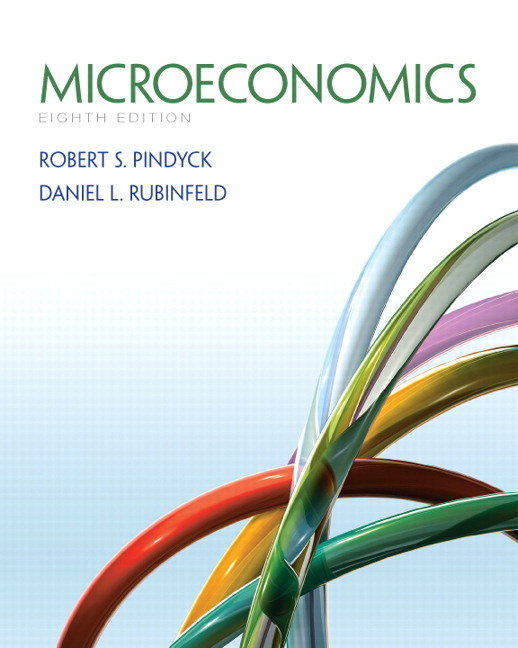 Pindyck and Rubinfeld are also co-authors of Econometric Models and Economic Forecasts, another best-selling textbook that makes a perfect gift (birthdays, weddings, bar mitzvahs, you name it) for the man or woman who has everything. These two authors are always looking for ways to earn some extra spending money, so they enrolled as human subjects in a double-blind test of a new hair restoration medication. Rubinfeld strongly suspects that he is being given the placebo. This is probably more than you want to know about these authors, but for further information, see their websites: http://web.mit.edu/rpindyck/www and http://www.law.berkeley.edu/faculty/rubinfeldd.